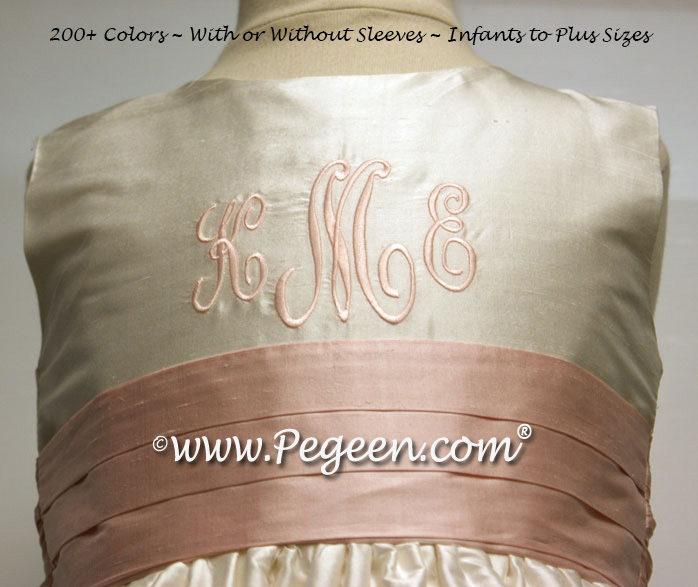 There is the Monogram style that is available for our dresses. INCLUDED in Style 694 ONLY however, you may request monogramming for any dress. 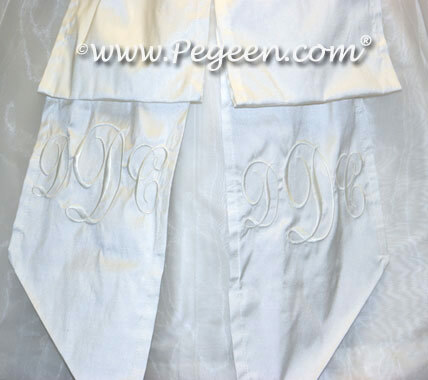 There is the Monogram style that is available for our dresses. 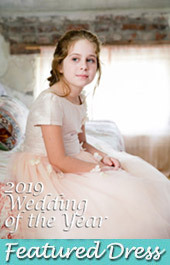 Monogrammed flower girl dresses are available on Style 694 and 902 ONLY however, you may request monogramming for any dress. 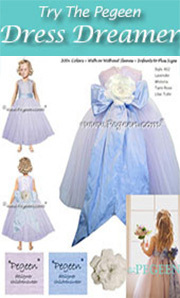 Monogrammed Flower Girl Dresses prices are as follows: (see single monogram in blue below) $40 for three initials. 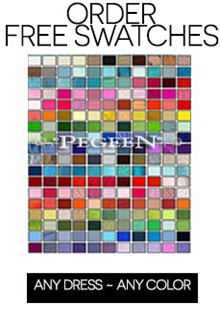 This can be either on the Tails of Sashes OR on the Bodice Only. For the tails, Price is included for 2 tails. 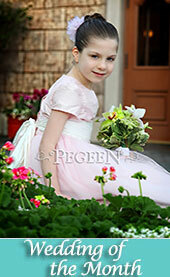 For the Bodice, since the monogramming of the flower girl dress is a bit larger, Price is included for the Front only. We can not do it on front sashes. 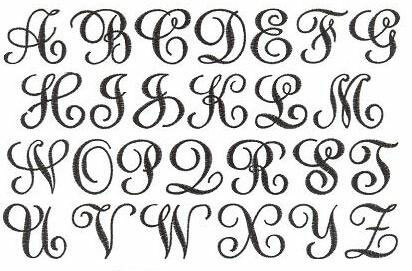 Monogramming can only be done on silk. 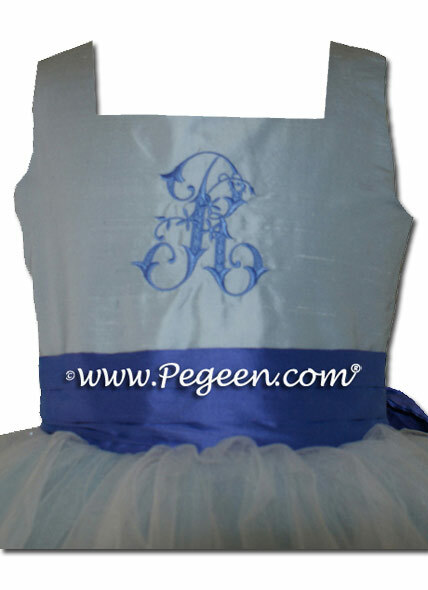 $40 for elaborate single initial (see below in blue).